Do you have a steady hand and nerves of steel? Do you enjoy building towers or are you more of a demolition demon? With over 70 fiendishly addictive levels of balancing, building and demolishing, Tumble VR – exclusive to PlayStation®VR – will test your physical and mental dexterity to the max. Get hands-on with gravity-defying building tasks where the highest tower gets the biggest score, or take on tricky balancing acts with blocks of all shapes, sizes, weights and dimensions. Enjoy blowing things up? Lay mines in tactical positions to topple towers and score points for the biggest blast radius. Solve puzzles together with friends or go head-to-head in social screen play, where what you see on your PlayStation®VR headset’s screen is what your friends see on their TV. You’ll need PlayStation®VR and a PlayStation®Camera to play Tumble VR. Hi, I’m Tom Heaton from Supermassive Games and I’m the Game Director of Tumble VR for PlayStation VR. The original Tumble was one of the first games we developed and it’s great to bring the latest instalment to VR. As before you’ll be solving puzzles, building towers and manipulating items. However, this time you play […] The post Impossible-to-put-down puzzler Tumble VR drops onto PS VR this week appeared first on PlayStation.Blog.Europe. Hi there, I’m Simon Harris, an Executive Producer at Supermassive Games responsible for our PlayStation VR titles. Today, following our announcement last October of Until Dawn: Rush of Blood, I am very happy to be able to talk about another of our VR titles in development, Tumble VR, exclusively for PlayStation VR. 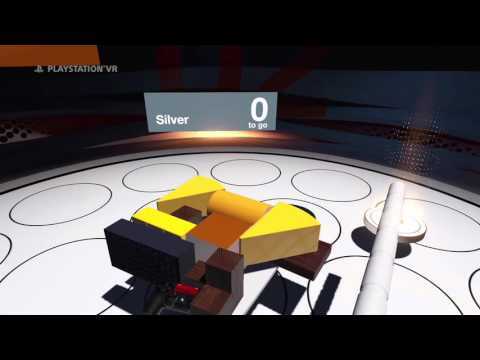 Tumble VR is […] The post Physics puzzler Tumble VR unveiled for PlayStation VR, from Supermassive Games appeared first on PlayStation.Blog.Europe.